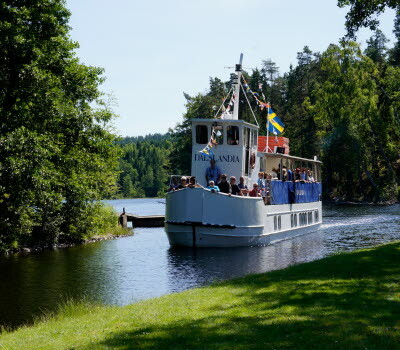 A tour on the Dalsland canal takes you to the heart of the most lake-rich landscape in Sweden. The canal has over the years transformed from a transport route to a much visited tourist attraction. It was only necessary to excavate 12km in order to connect large and small lakes and create a 250 kilometer long picturesque canal. 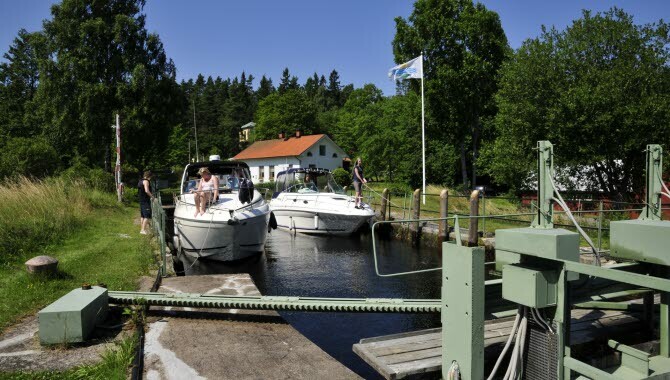 There is something magical about the Dalsland canal and it is not only the surrounding stunningly beautiful nature that will enthrall you. 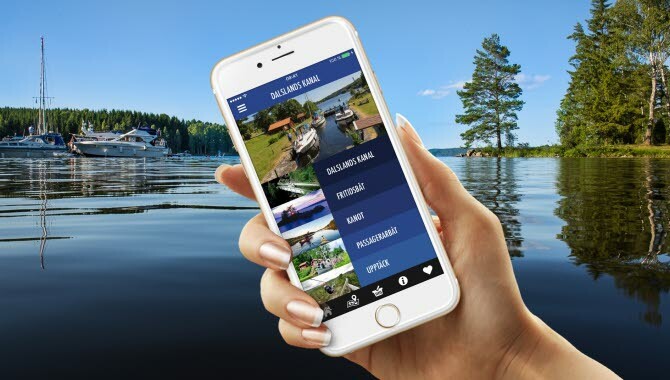 The most astonishing thing is that although it takes you between lake Vänern and the mysterious Lake Stora Lee in northern Dalsland the canal itself is only a few kilometers long. 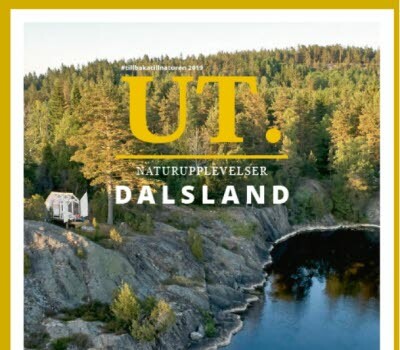 The secret lies in Dalsland’s unusual topography. The last ice age created many long deep rift lakes and made Dalsland Sweden’s most lake-rich landscape. Making good use of these, only 12 km of the 250 km stretch of the canal system had to be dug or dynamited to link up these deep, clear lakes to a single waterway. 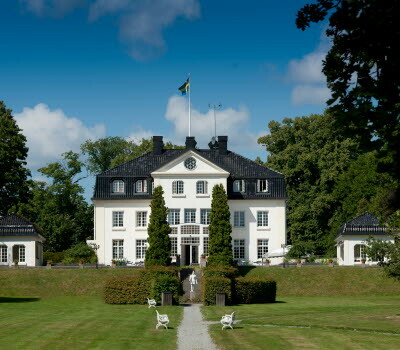 The canal dates back to the 1860s when the Swedish-Norwegian union parliament decided to link Dalsland’s long, narrow lakes with Värmland and Lake Vänern. 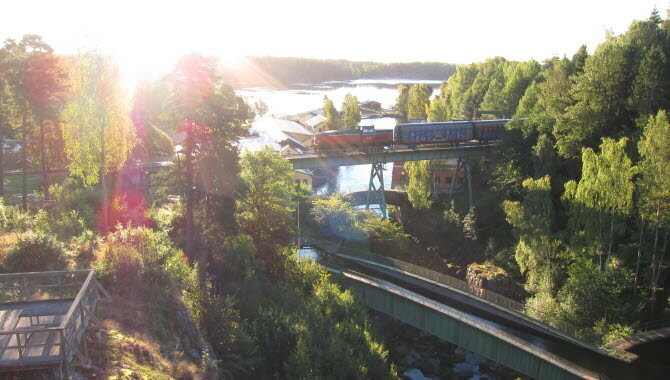 The idea was to transport goods by water from the steel and saw mills to Värmland. In the 19th century an exceptional canal construction was to be built which would need special engineering skills. 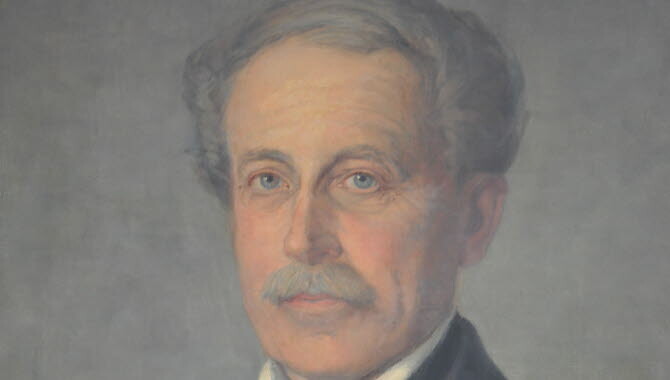 Nils Ericson, the man behind most of the railways and canals in Sweden, was given the task of finding a way for the canal to bypass the rapids in Håverud. Due to the prevailing ground conditions, it was not possible to build an ordinary lock mechanism there. The solution was a sheet metal passage suspended over the waterfalls where the boats could pass. This was to become one of Sweden’s most remarkable constructions: The aqueduct in Håverud. The aqueduct is 32,5 meters long and the metal plates are connected by 33,000 rivets. The canal was officially opened in 1868 by King Carl XV. For a few decades the canal functioned as the goods transport route for which it was intended but later the railway took over and left the canal to pleasure boats, canoes and passenger boats. 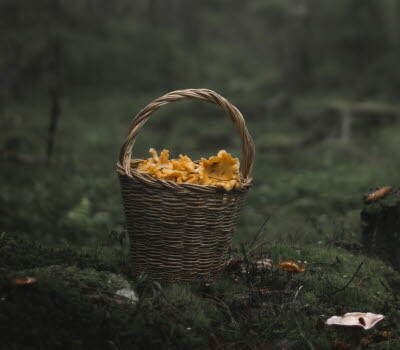 The Dalsland landscape is so uniquely Swedish with an abundance of versatile scenery. 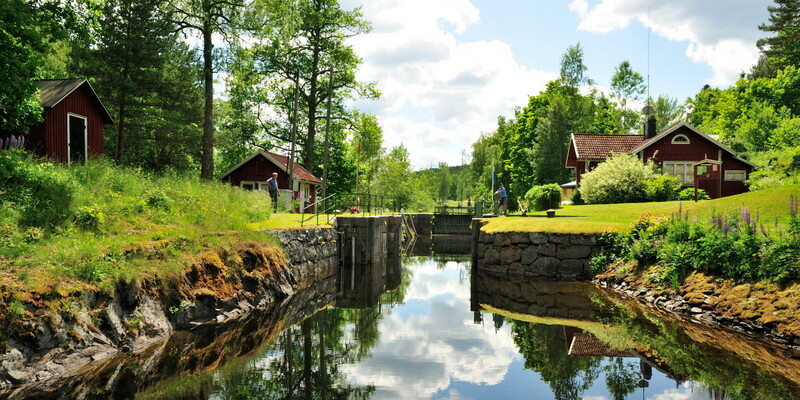 You see idyllic situated red cabins, pristine forests, picturesque lock settings and clear mirror like lakes. 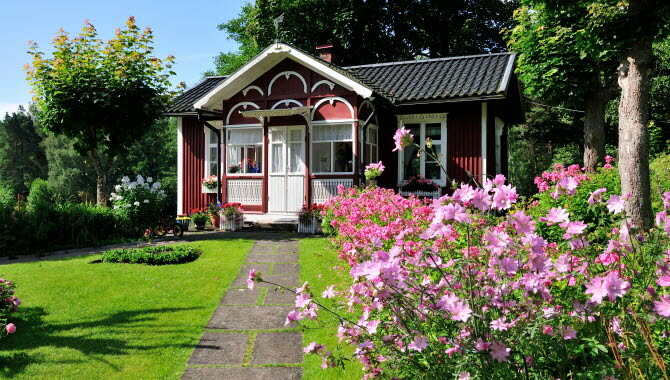 A trip on the canal is a trip on one of the world’s most beautiful waterways and through a miniature Sweden. Along the canal are a total of 11 guest harbours but also many natural bays if you prefer that option. There are 31 locks and 17 lock stations bridging a level difference of 66 meters. In May 2013 the Aqueduct together with the locks in Håverud and Upperud were declared as listed sites. A very pleasing and important action as it assures that a particularly valuable and unique cultural heritage is preserved for future generations.